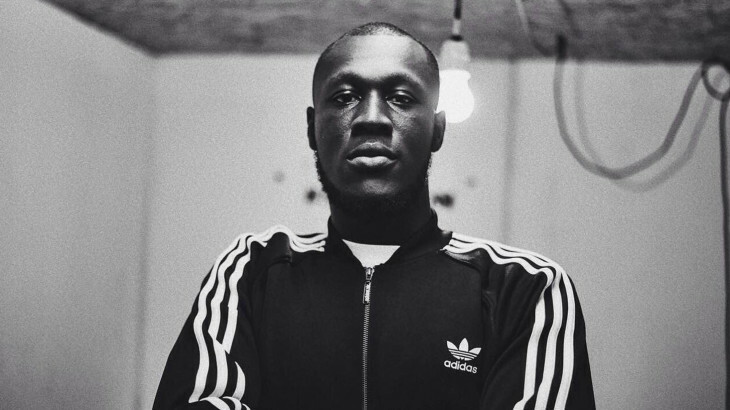 Grime artist Stormzy first became publicly known through a set of videos on his YouTube channel. Shot in the dreary carparks and street corners of South London, the rapper freestyled over instrumentals with a small crew in the background. The verses were animated, cheeky, playful; but most importantly he had a lyricism and flow to back it up. Of this series, one stood out beyond belief, with 2015 freestyle Shut Up sending Stormzy on the fast track to fame. In the clip, Stormzy effortlessly glides over the bars of XTC’s classic beat Functions on the Low as he plays off his squad in the background. The video has since racked up almost 48 million views, and has seen the artist win a second MOBO award, nominated for best British Breakthrough act at this year’s BRIT awards, and a plethora of festival dates including Coachella (and an Aussie tour last year, which was cancelled at the eleventh hour). All without having even released an album. It would be fair to say, then, that Gang Signs & Prayer – Stormzy’s debut album – has been somewhat hotly anticipated. If you go into this album expecting the sort of material you’ve heard on his YouTube channel, however, you’re going to be disappointed. Instead, Stormzy gives us a bit of everything in Gang Signs & Prayer, with the album living up to its title: street culture and reflection in equal measure. The album is not without its customary bangers. Cold features icy synths, and drums pinging around the mix; Big For Your Boots – dropped prior to the album’s release – contains the heavyweight low-end from celebrated producer Sir Spyro. Both see Stormzy bouncing off the walls with rhymes both cleverly irreverent and revealing. Banger though they are, grimy they are not. The pair have an overproduced, over-polished sheen which takes away from the wild, cheeky grit we’re accustomed to. It’s a shame, as much of his charisma lies between those lines. Similarly, the lower tempo songs interspersed may be more reflective in mood, yet they maintain a cookie-cutter feel throughout. In Blinded By Your Grace (Parts 1 & 2), Stormzy tries his hand at singing, while touching on how important his faith is. The track follows on from one of 2016’s biggest trends of blending gospel and more vocals into hip-hop, a la Kanye West, Anderson Paak and Chance the Rapper. Similarly, the production in Velvet is reminiscent of Noah Shebib’s – with chattering pitched-up vocals and machine gun hi-hats. Stormzy plays Drake, in his feelings and trying his best to impress a lady with his loyalty and riches. Cigarettes & Cush, though sounding as if it was written for Ariana Grande and Big Sean, fits Stormzy and Kehlani well as they tell the story of a dysfunctional, drug-focussed relationship. The inclusion of both club tracks and introspective ballads has a somewhat adverse effect on the pacing of the album. The triumphant ending of Blinded By Your Grace (part 2) is rudely interrupted with the snarling synth horns in Return of the Rucksack. Strap back in. At times, it feels as though Stormzy has opted for sheer stylistic breadth over equilibrium. While the subject matter is certainly overdone in hip-hop, it nevertheless feels genuine on the 23-year-old’s debut. Grime is in a different place than the days of classic Lord of the Mics and Dizzee Rascal’s Mercury-winning Boy in da Corner – the genre currently lives both a mainstream and underground existence. The old school moved the scene from Jammer’s mum’s basement to onstage with Kanye at the BRITS; while the earlier school placed grime on the map, it’s up to Stormzy’s generation to keep it relevant. In a poetic move, the interlude is followed by Shut Up; grime’s new golden boy spitting over a true first generation instrumental. Old meets new. Gang Signs doesn’t sound particularly like a classic grime album (look to Wiley’s recently album Godfather for reference), but it represents a diversification of a product. Some tracks may sound derivative, but there’s a heart in the right place. This debut album feels like like Stormzy is trying to see where he can take the genre, where it fits, all the while insisting not to be put in a box.